WHO WAS JOE McCARTHY AND WHY HAVE WE BEEN TRAINED TO HATE HIM? WHO WAS JOSEPH McCARTHY AND WHY HAVE WE BEEN TRAINED TO HATE HIM? The short answer is because he was on to the Commie Jews and tried to expose them for what they are. Who was Joseph McCarthy, and why is he, without question, hands-down -- the most widely and most viciously vilified personage in American history? The official version of history -- written by academic operatives serving the same ruling class which McCarthy sought to expose – teaches us that the Wisconsin Senator was a nasty bullying brute who dirtied the reputations of anyone who disagreed with him politically. As the story goes, if one was a “liberal,” the demagogue McCarthy slandered him as a “communist” and, just like that, an innocent man, or woman, was ruined. Many Fake Historians have collected their fair share of shekels for dumping on Joe McCarthy. B: Joe McCarthy’s dauntless crusade against treason in high places rattled the Reds and the Globalist ruling class above them to such an extent that “they” want to make sure no one ever dares to attempt to expose the self-perpetuating “powers that be” ever again. As you may have already deduced by the title of this book, your McCarthy-loving investigative historian here believes knows that the latter case represents the true history. Yours truly does not believe in dishonestly hiding behind the veil of fake neutrality when presenting a historical case. 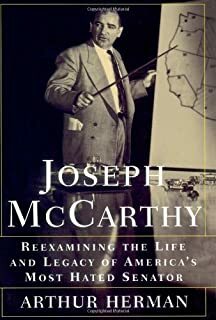 The history of Joe McCarthy is a story that absolutely must be corrected not merely for the sake of academic scholarship, but more importantly, because the very same “conspiracy so immense” that ultimately destroyed McCarthy is still alive and well today – and more dangerous than ever. This is the true story of Senator Joseph McCarthy – “Saint” Joseph of Wisconsin. Hallowed be his unjustly dirtied name. Joe McCarthy (Joseph Raymond McCarthy, November 14, 1908 – May 2, 1957) was a two-term Republican United States Senator from Wisconsin. He dominated the anti-communist movement in the United States, 1950–54, until his career receded after censure by the Senate. "McCarthyism" is the aggressive exposure of Communist influences in America and the people who protect them. Beginning in 1950, McCarthy became the most visible public figure to object to Communist infiltration of the United States government. 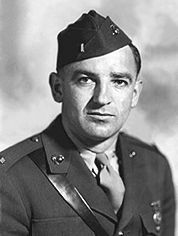 A 1954 Gallup poll found that Joe McCarthy was the fourth on its list of most admired men. He is now considered an American hero by many, though liberals still seek to tarnish his name. He was noted for claiming that there were large numbers of Communists and Soviet spies and sympathizers, engaged in a conspiracy to undermine the United States, inside the federal government. He was proven correct by government documents and inquiry, including decrypted Venona files. McCarthy lost support in 1953 when he started attacking the U.S. Army and suggesting that Republican President Dwight D. Eisenhower was protecting subversives. Eisenhower signaled Republicans to stop his attacks on the Army. 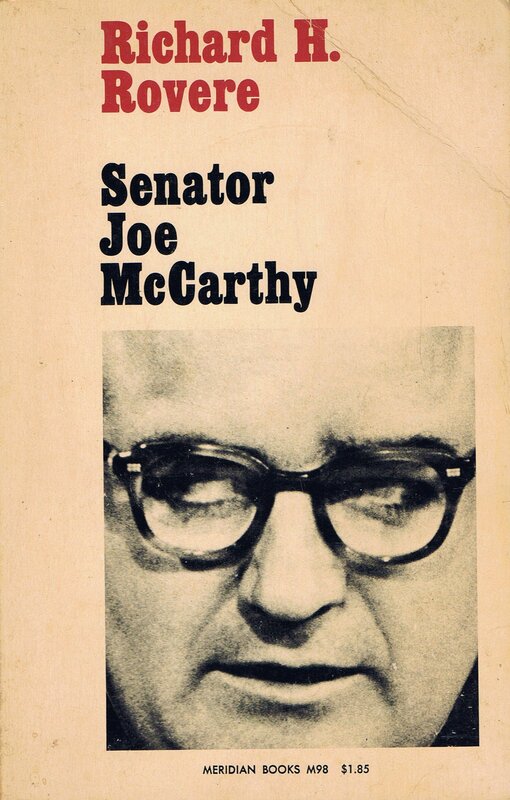 Although McCarthy had strong support among Catholics, such as Joe Kennedy, in 1954 the Senate censured him on charges of attacking fellow Senators; this caused his influence to collapse abruptly. The term "McCarthyism" was coined in 1950 in reference to McCarthy's aggressive attempts to ferret out suspects, occasionally in the absence of evidence. Joseph McCarthy was born to a poor Irish Catholic farm family in Appleton, Wisconsin. A hyperactive, extroverted youth, he dropped out of school after eighth grade to start his own poultry business. After the chickens all died, he enrolled in the local public high school. Thanks to enormous energy and a retentive mind, he finished his coursework in less than a year at age 20. After two undergraduate years at Marquette University, a leading Jesuit school in Milwaukee, McCarthy entered Marquette Law School, acquiring the rudiments of the profession that he soon used to knit together a statewide network among Irish and German Catholics. McCarthy was a practicing Catholic his entire life, but rarely referred to religion or ethnicity in his speeches. He actively supported President Franklin D. Roosevelt in the Young Democrats, but did not join Irish organizations. Although defeated in his 1936 race for district attorney, McCarthy displayed remarkable campaign abilities and an astonishing memory for faces. He had the energy and determination to meet every voter in person, exuding charm and a concern for the voter as an individual. The same tactics paid off in 1939, when he was successful in a nonpartisan contest for a regional judgeship. The youngest judge in state history, he worked long hours to clear up a large backlog. He administered justice promptly and with a combination of legal knowledge and good sense. He was still a Democrat, but that party was very weak statewide at the time. In 1942 McCarthy, volunteered for the Marines (as a judge he was draft exempt), becoming an intelligence officer in an aviation unit heavily engaged in combat in the South Pacific. Although assigned a desk job McCarthy flew numerous combat missions as a tail gunner—he exaggerated the number to qualify for a Distinguished Flying Cross. McCarthy had his name entered in the Republican primary for U.S. Senate in 1944, opposing a well-entrenched incumbent Republican, Alexander Wiley. The absentee war hero ran a strong second, making a name for himself statewide and making himself available for the 1946 Senate contest. Why McCarthy suddenly changed parties was never explained, but prospects for ambitious Wisconsin politicians were dim inside the poorly organized Democratic party, for most New Dealers supported the state’s Progressive party. During the war, however, that party collapsed, torn apart between its New Deal domestic liberalism, and its intensely isolationist opposition to Roosevelt’s foreign policy. Increasingly out of touch with Wisconsin, its leader Robert LaFollette Jr. looked to his family’s past glories and made the blunder of trying for reelection to the Senate in 1946 as a Republican. "Tail Gunner Joe," as his posters called him, endlessly crisscrossed Wisconsin while LaFollette remained in Washington, offered an alternative in the Republican primary to old guard Republicans who had opposed the Lafollettes for a half century. McCarthy brilliantly captured the frustrations citizens felt about massive strikes, unstable economy, price controls, severe shortages of housing and meat, and the growing threat of from the far left in the CIO. He nipped LaFollette in the primary. The slogan “Had Enough?—Vote Republican” gave the Republicans a landslide all across the North, electing a new junior senator from Wisconsin. In Washington, McCarthy was a mainstream conservative in domestic policy, and, like many veterans, was an internationalist in foreign affairs, supporting the Marshall Plan and NATO. His speeches rarely mentioned domestic Communism or flaming issues like the Alger Hiss espionage case, but that suddenly changed in early 1950 when his vivid anti-Communist rhetoric drew national attention. "The issue between the Republicans and Democrats is clearly drawn. It has been deliberately drawn by those who have been in charge of twenty years of treason.” Alleging there were many card-carrying Communists in U. S. President Harry S. Truman’s State Department, McCarthy forced a Senate investigation led by Millard Tydings, Democrat of Maryland. McCarthy named numerous suspect diplomats but failed to convince the three Democrats on the panel; they concluded his allegations were “a fraud and a hoax,” while the two Republicans dissented. McCarthy retaliated by campaigning against Tydings, who was defeated for reelection in November 1950. What the senator himself called McCarthyism was a factor in key races across the country; all his candidates won and his stock soared. A few weeks later American forces were crushed by the Chinese in Korea, and in spring 1951 Truman tried to shift the blame by firing General Douglas MacArthur. The great majority of Catholics were anti-Communist, but they were also loyal Democrats, so to enlarge his base McCarthy, a Republican, needed an alliance with anti-Communist Catholics. The Catholic bishops and the Catholic press was "among McCarthy's most fervid supporters." A major connection was with the powerful Kennedy family, which had very high visibility among all Catholics in the Northeast. Well before he became famous McCarthy became closely associated with Joseph P. Kennedy, Sr.. He was a frequent guest at the Kennedy compound in Hyannis Port and at one point dated Joe's daughter Patricia. After McCarthy became nationally prominent, Kennedy was a vocal supporter and helped build McCarthy's popularity among Catholics. Kennedy contributed cash and encouraged his friends to give money. Some historians have argued that in the Senate race of 1952, Joe Kennedy and McCarthy made a deal that McCarthy would not make campaign speeches for the Republican ticket in Massachusetts, and in return, Congressman and future U.S. President John F. Kennedy would not give anti-McCarthy speeches. In 1953 McCarthy hired Robert Kennedy as a senior staff member. When the Senate voted to censure McCarthy in 1954, Senator Kennedy was in the hospital and never indicated then or later how he would vote; he told associates he could not vote against McCarthy because of the family ties. In 1950, McCarthy discussed his upcoming 1952 campaign with three fellow Catholics (Father Edmund A. Walsh and Charles H. Kraus of Georgetown University and Washington attorney Wiliam A. Roberts). Kraus had recommended Father Walsh's recent books dealing with Communism to McCarthy, and was hoping to interest McCarthy in the problems of Communism in the world. McCarthy's reputation among the voters was not good at that time, due to various ethical and tax violation problems, and he needed an issue that would help improve his chances of re-election. He latched enthusiastically onto the idea of attacking Communists in the government. Subsequently, McCarthy called Willard Edwards of the Chicago Tribune asking for assistance with a speech on Communism. Edwards sent some materials, including a copy of a letter written on July 26, 1946, by James F. Byrnes, Secretary of State under Truman. This letter was the central support for McCarthy's subsequent claims to have a list of Communists in the government. "Pursuant to Executive Order, approximately 4,000 employees have been transferred... Of those 4,000 employees, the case histories of approximately 3,000 have been subjected to a preliminary examination, as a result of which a recommendation against permanent employment has been made in 284 cases by the screening committee... Of the 79 actually separated from the service, 26 were aliens and therefore under "political disability" with respect to employment in the peacetime operations of the Department. I assume that factor alone could be considered the principal basis for their separation." This document was repeatedly cited by McCarthy as the basis for his accusations; unfortunately, there was no list at that time. McCarthy now became one of the dominant leaders in American politics, with strong support among both Republicans and Catholic Democrats, as he alleged that Truman’s top people had betrayed America. He singled out Secretary of State Dean Acheson and Secretary of Defense George Marshall. Liberals were aghast; Truman had picked General Marshall to head the State and Defense departments precisely because he thought the elderly statesman would always be above criticism, no matter that China turned from a staunch ally to a bitter enemy on his watch. McCarthy’s blistering attacks on Marshall as “part of a conspiracy so immense, an infamy so black, as to dwarf any in the history of man” fueled the belief he was a wild-man, a pathological liar who overstepped the bounds of political discourse. With Dwight D. Eisenhower crusading against “Korea, Communism and Corruption” in 1952, Republican victory was assured. As a senior member of the majority party McCarthy for the first time became a committee chairman, with control of staffing and agenda. He used his Government Operations Committee to open highly publicized hearings in 1953-54 alleging disloyalty in the State Department, the United States Central Intelligence Agency (CIA), the U.S. Information Agency, and finally the Army. His furious attacks on the Army led to the televised “Army-McCarthy” hearings in spring 1954, which exposed his bullying tactics to a national audience. As McCarthy’s poll rating plunged, his enemies finally pulled together to introduce a censure resolution focused on charging McCarthy with contempt for the federal government, and especially for his fellow senators. McCarthy’s charges that over-educated liberals tolerated Communism at home and abroad had stung the liberals. He alleged that they had corruptly sold out the national interest to protect their upper class privileges, and were so idealistic about world affairs that they radically underestimated the threat posed by Soviet dictator Stalin, his spies, and the worldwide Communist movement. Instead of refuting the allegations, Liberals tried one of two approaches. Some became intensely anti-Communist and claimed they were more effective than McCarthy and the Republicans in eliminating Communism in the unions and Democratic party, and in containing the Stalinist menace in Europe. The other approach was to counterattack, to charge that “McCarthyism” never found a single spy but hurt innocent people in hunting for nonexistent witches; thus it represented an evil betrayal of American values. In an appeal to upscale conservatives and liberal intellectuals, critics ignored the Communist infiltration of labor unions and liberal causes and focused on stereotyping anticommunists as ill-mannered ignorant troglodytes, oblivious to American traditions of free speech and free association. McCarthy’s exaggerations and false charges encouraged opponents to stress the second approach, but it escalated the controversy to a pitch of hatreds and fears unprecedented since the days of Reconstruction. McCarthy’s superb sense of timing and his media instincts kept his partisan attacks on the front page every day; his willingness to do battle in the hustings with Democratic opponents across the country strengthened his base in the Republican party. His religion and ethnicity, refreshed with highly visible friendships with leading Irish Catholics, especially the Kennedy family, bolstered his standing among Democrats. According to Gallup, McCarthy’s popularity crested in January 1954, when he was endorsed by all voters 50-29 (with 21 having no opinion). His core support came from Republicans and Catholics who had not attended college. McCarthy, however, failed to create any sort of grass roots organization. He had no organizational skills; he did not effectively use his talented staffers (such as Robert Kennedy). He was a loner who lurched from issue to issue, misled by the enormous media publicity into believing that a one-man crusade was possible in an increasingly well-educated complex society honeycombed with local, regional and national organizations. By operating within the Republican party apparatus he lost the opportunity to create an independent grass roots political crusade in the style of Teddy Roosevelt, Huey Long, or Ross Perot. He never launched his own magazine or radio show or formed alliances with publishers who agreed with him. McCarthy’s strained relations with Senate colleagues created a trapdoor. It was sprung after many Republicans realized that he had shifted the attack away from the Democrats. What use was his slogan “20 Years of Treason” once Eisenhower was in office? McCarthy’s answer was “21 Years of Treason!” Eisenhower’s supporters could no longer tolerate such a loose cannon, and as McCarthy unwisely shifted his attacks to Eisenhower’s beloved Army, his cause was doomed. While many Americans distrusted Ivy League, striped pants diplomats, soldiers were held in high regard; McCarthy’s charges of subversion were flimsy (one Communist dentist had been automatically promoted); he sabotaged his own reputation by finagling favors for an aide who had been drafted. The televised hearings proved fatal to an ill-prepared bully. After the Democrats regained control of Congress in the 1954 elections, the censure motion carried, 67-22. McCarthy’s appeal, so widespread yet superficial, evaporated overnight and the Senator faded into the shadows. McCarthy is permanently associated with the use of the word "McCarthyism" (a word which he did not coin, but of which he did make use according to a sense more aligned with his actual philosophy) to mean an aggressive attack on Communists who had infiltrated America and on the liberals who protected them—an attack, however, without regard for due process. Although the left was unable to make heroes of the people who supported and sometimes were controlled by Stalin, they did make heroes of opponents of McCarthy, painting him as the internal menace to American values that was far worse than Communist subversion. Schrecker (1998) sees McCarthyism as anti-Communist political repression of the early Cold War, and explores its mechanisms through, and what she considers the exaggerated public fears on which it depended. During the 1940s-1950s, McCarthyism took on a variety of forms with an array of agendas, interested parties, and modes of operating. Despite its widespread and popular character, it started with the federal government and was driven by a network of dedicated anti-Communist crusaders such as J. Edgar Hoover, director of the United States Federal Bureau of Investigation (FBI). McCarthyism's repression both responded to and helped create widespread fears of a significant threat to national security. Margaret Chase Smith, Republican senator from Maine, gained a national reputation as one of the earliest critics McCarthyism with a Senate speech on June 1, 1950, called "the Declaration of Conscience." It was an attempt by Smith to address the excesses of McCarthyism, and was widely hailed as a call to reason by McCarthy's opponents. Smith gave a critique of the American political process and political institutions in the responses to dissent on the left and the right. Smith, like other McCarthy critics, sought to bring a level of civility to political protest and dissent. She and many others who objected to the tactics of McCarthy actually believed in the underlying tenets of his anti-Communist crusade. Their responses to his excesses reflected a desire to narrow the scope of acceptable political dissent. had a lasting impact on the conduct of U.S. foreign relations, particularly among professional diplomatic institutions like the State Department and its Foreign Service personnel, and McCarthyism did not disappear with the senator's censure in 1954. The 'ism' in a broad sense was a set of ideas not only about internal subversion but also about the outside world, including a simplistic, isolationist anti-communism and a deep suspicion about social reform movements abroad. It stood in open opposition to a more complex, even accommodating, view of communism. Instead of ending the hunt for subversives begun under Truman, Eisenhower made the search systematic, universal, and more broadly defined. McCarthyist Scott McLeod took over security and personnel functions of the State Department and became one of the most famous and despised men in the executive branch. McLeod brought McCarthyist methods and assumptions to bear in ridding the department of what he defined as security risks. Oral history sources provide key evidence for the destructive atmosphere within the department in these years, and they shed valuable light on McLeod's impact on the foreign affairs bureaucracy. In the short term, the Foreign Service declined in morale, prestige, and influence. By 1954, professionally trained diplomacy, with nuanced, internationalist views lost ground to more simplistic, strictly anticommunist views. During Eisenhower's second term, the Foreign Service and the more moderate approach experienced a resurgence but still faced opposition from hard-liners who survived the McCarthy years. The Latin American branch of the department embodied the changes in professional diplomacy towards one region of the world. Within the division were the institutionalized tensions of the Eisenhower administration, between career diplomats and political appointees, conservative and moderate anti-communists, and trained diplomats and other specialists. The U.S. embassy in Cuba showed this internal conflict in a microcosm, as the administration's response to Latin American revolution evolved after 1954. McCarthyism accompanied Eisenhower into office, and its effects continued into his last foreign policy crisis and beyond." In California McCarthyism began before the Senator was famous. In 1946 in the Los Angeles schools two teachers from Canoga Park High School were called before the Tenney Senate Investigating Committee on charges of communistic teaching. The two teachers were exonerated of all charges, but a campaign to rid the LA district of dissident teachers was effectively launched. The target of the campaign was a group of teachers who belonged to the Los Angeles Federation of Teachers (LAFT), formerly known as Union Local 430 and chartered under the American Federation of Teachers, until 1948, when the AFT revoked the charter. By 1954, Los Angeles teachers were required to take five loyalty oaths, although not one teacher was ever charged with or convicted of subversion. In 1953, the Los Angeles City School Board announced that 304 teachers were to be investigated because of alleged Communist affiliations. The Dilworth Oath, made law in 1953, required teachers to answer questions posed to them by the Investigating Committees. Teachers who refused to answer the Committee questions by claiming their Fifth Amendment rights could then be fired by the Board for insubordination. Historians have debated the degree to which McCarthyism permeated the American mood and popular culture. Anti-Communist liberals at the time said it played to isolationism (especially strong in McCarthy's Wisconsin) by diverting attention away from the real threat, Stalin's Soviet Union as an external power. The Left said that they had a First Amendment right to their beliefs and that McCarthyism had a chilling effect. Dussere (2003) shows that comic strip artist Walt Kelly in "Pogo" parodied McCarthyism and promoted leftist politics as old-fashioned American common sense, representing a time when concerns about art and politics with respect to popular culture were in the forefront. Hoover's FBI targeted retired film comedian Charlie Chaplin because of his status as a cultural icon and as part of its broader investigation of Hollywood. Some of Chaplin's films were considered "Communist propaganda," but because Chaplin was a British citizen and was not a member of the Communist Party, he was not among those investigated by the House Un-American Activities Committee in 1947. Nevertheless, he was vulnerable to protests by the American Legion and other patriotic groups because of both his sexual and political unorthodoxy. Although countersubversives succeeded in driving Chaplin out of the U.S., they failed to build a consensus that Chaplin was a threat to the nation. Chaplin's story testifies to both the power of the countersubversive campaign at mid-century and to some of its limitations. Strout (1999) looks at The Christian Science Monitor during the McCarthy era (1950-1954); it was a highly influential newspaper at home and abroad. Strout asks: (1) Was the Monitor a consistent critic of McCarthy? (2) How did the coverage compare to other elite and popular press newspapers? 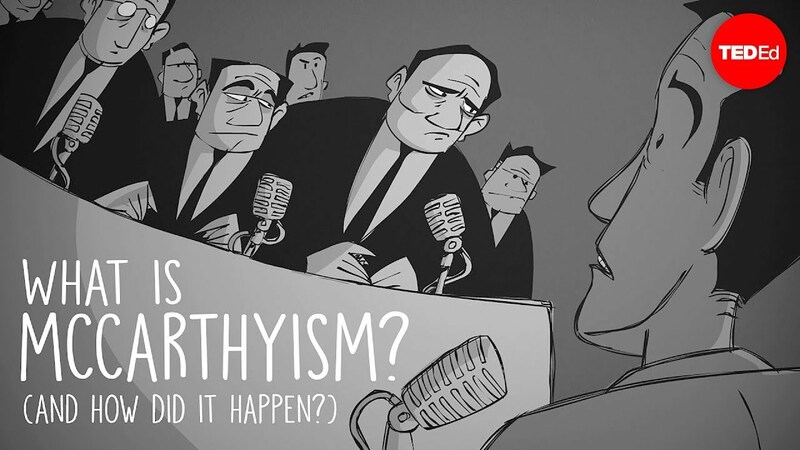 (3) How did the pressures associated with McCarthyism effect individuals at the Monitor and its news product? An extensive review of editorials and news articles suggests that it was thorough and fair in reporting, yet outspoken and responsible in editorial criticism. Mary Baker Eddy's original 1907 statement that, "The purpose of the Monitor is to injure no man, but to bless all mankind," was referred to repeatedly in interoffice correspondence during the McCarthy era. The Monitor did not attack McCarthy personally as other papers did; rather, its criticism centered on the actions of the senator and the negative effects they were having at home and abroad. The Monitor served as a voice of moderation, yet at the same time, remained a persistent critic of McCarthy's tactics. Individuals were affected by the pressures of McCarthyism. For instance, veteran Washington correspondent Richard L. Strout was suspended from covering McCarthy for eight to 12 months after being mentioned in McCarthy's book, McCarthyism: The Fight for America. FBI Master Chart of distribution in 1945-46 of investigative reports to the White House, Attorney General, and employing agencies of Communist agents in the Federal government. McCarthy compiled a list of 57 security risks and publicly named John S. Service, Gustavo Duran, Mary Jane Keeney, Harlow Shapley, and H. Julian Wadleigh as being on the list. These names came from the "Lee List" of unresolved State Department security cases compiled by the earlier investigators for the House Appropriation Committee in 1947. Robert E. Lee was the committee’s lead investigator and supervised preparation of the list. In a six-hour speech on the Senate floor on February 20, 1950 in which McCarthy was constantly interrupted by hostile senators; four of whom — Scott Lucas (61 times), Brien McMahon (27 times), Garrett Withers (22 times), and Herbert Lehman (13 times) — interrupted him a total of 123 times, McCarthy raised the issue of some eighty individuals who had worked in the State Department, or wartime agencies such as the Office of War Information (OWI) and the Board of Economic Warfare (BEW). McCarthy sought to avoid naming names publicly when possible, using numbered cases instead of names in public session. He preferred to name his suspects only in executive session, in order to protect those who might have been erroneously identified by the FBI, State Department Security, Army counterintelligence, etc. "[I]t would be improper to make the names public until the appropriate Senate committee can meet in executive session and get them," explained McCarthy. "If we should label one man a Communist when he is not a Communist I think it would be too bad." The newly unearthed evidence demolished Senator Benton’s charges in all their material respects and thoroughly proved Senator McCarthy’s account of the facts to be truthful. “ I have before me a letter which was reproduced in the Congressional Record on August 1, 1946, at page A4892. It is a letter from James F. Byrnes, former Secretary of State. It deals with the screening of the first group, of about 3,000. There were a great number of subsequent screenings. This was the beginning. Pursuant to Executive order, approximately 4,000 employees have been transferred to the Department of State from various war agencies such as the OSS [Office of Strategic Services], FEA [Foreign Economic Administration], OWI [Office of War Information], OIAA [Office of Inter-American Affairs], and so forth. Of these 4,000 employees, the case histories of approximately 3,000 have been subjected to a preliminary examination, as a result of which a recommendation against permanent employment has been made in 285 cases by the screening committee to which you refer in your letter. In other words, former Secretary Byrnes said that 285 of those men are unsafe risks. He goes on to say that of this number only 79 have been removed. Of the 57 I mentioned some are from this group of 205, and some are from subsequent groups which have been screened but not discharged. I might say in that connection that the investigative agency of the State Department has done an excellent job. The files show that they went into great detail in labeling Communists as such. The only trouble is that after the investigative agency had properly labeled these men as Communists the State Department refused to discharge them. I shall give detailed cases. McCarthy was able to characterize President Truman and the Democratic Party as soft on or even in league with the Communists. McCarthy's allegations were rejected by Truman who was unaware of Venona project decrypts which corroborated Elizabeth Bentley's debriefing after her defection from the Communists. According to Gallup, McCarthy’s popularity crested in January 1954, when he was endorsed by all voters 50-29 (with 21 having no opinion). His core support came from Republicans and Catholics who had not attended college. On March 9, 1954, CBS broadcasted Edward R. Murrow's See It Now TV documentary attacking McCarthy. In 1995, when the Venona transcripts were declassified, further detailed information was revealed about Soviet espionage in the United States. FBI Director J. Edgar Hoover was among only a handful of people in the U.S. Government who was aware of the Venona project, and there is no indication whatsoever Hoover shared Venona information with McCarthy. In fact, Hoover may have actually fed McCarthy disinformation, or dead end files, in an effort to put pressure on relatives, friends, or close associates of real Venona suspects by threatening to reveal embarrassing information about them in a public forum if they failed to cooperate and reveal what they might have known about someone's else’s activities and associations. And there is no indication McCarthy might have known he was being used by Hoover in this way. On February 7, 1950, three days before McCarthy's acclaimed Wheeling, West Virginia speech, Hoover testified before House Appropriations Committee that counterespionage requires "an objective different from the handling of criminal cases. It is more important to ascertain his contacts, his objectives, his sources of information and his methods of communication" as "arrest and public disclosure are steps to be taken only as a matter of last resort." He concluded that "we can be secure only when we have a full knowledge of the operations of an espionage network, because then we are in a position to render their efforts ineffective." McCarthy is said to have made the claim, "I have here in my hand a list of 205—a list of names that were made known to the Secretary of State as being members of the Communist Party." The famous "List", as it has come to be known, has always engendered much controversy. The figure of 205 appears to have come from an oral briefing McCarthy had with Hoover regarding espionage suspects the FBI was then investigating. The FBI had discovered on its own five Soviet agents operating in the United States during World War II; defector Elizabeth Bentley further added another 81 known identities of espionage agents; Venona materials had provided the balance, and by the time a full accounting of true name identities was compiled in an FBI memo in 1957, one more subject had been added to the number, now totaling 206. Much confusion has always surrounded the subject. While the closely guarded FBI/Venona information of identified espionage agents uses the number of 206, McCarthy in his Wheeling speech only referred to Communist Party membership and other security risks, and not espionage activity. Being a security risk as a Communist Party of the United States of America (CPUSA) member does not necessarily entail or imply that a person was or is actively involved in espionage activity. Venona materials indicated a very large number of espionage agents remained unidentified by the FBI. When McCarthy was questioned on the number, he referred to the Lee List of security risks, by which it appears Hoover was attempting to match unidentified code names to known security risks. Hoover kept the identities of persons known to be involved in espionage activity from Venona evidence secret. Hoover in the very early days of the FBI's joint investigation with the Army Signals Intelligence Service in May 1946 did precisely the same deception with a confidant of President Truman using Venona decryptions. Hoover reported that a reliable source revealed “an enormous Soviet espionage ring in Washington.” Of some fourteen names, Soviet agents Alger Hiss and Nathan Gregory Silvermaster were listed well down the list. The name at the top was “Undersecretary of State Dean Acheson” and included others beyond reproach, thus discrediting the Hiss and Silvermaster accusations, which actually were on target. Hence the Truman White House always suspected Hoover and the FBI of playing partisan political games with accusations of various administration members’ complicity in Soviet espionage. The Silvermaster ring operated primarily in the Department of the Treasury but also had contacts in the Army Air Force and in the White House. Sixty-one of the Venona cables concern the activities of the Silvermaster spy ring. Cedric Belfrage, British Security Coordination; founder the National Guardian. David Karr, Office of War Information; chief aide to journalist Drew Pearson. Venona transcripts confirm the Senate Civil Liberties Subcommittee, chaired by former Senator Robert LaFollette, Jr., whom McCarthy defeated for election in 1946, had at least four staff members working on behalf of the KGB. Chief Counsel of the Committee John Abt; Charles Kramer, who served on three other Congressional Committees; Allen Rosenberg, who also served on the National Labor Relations Board, Board of Economic Warfare (BEW), the Foreign Economic Administration (FEA) and later argued cases before the United States Supreme Court; and Charles Flato, who served on the BEW and FEA, all were CPUSA members and associated with the Comintern. While the underlying premise of Communists in the government was true, many of McCarthy's targets were not complicit in espionage. Recent scholarship has established of 159 persons investigated between 1950 and 1952, there is substantial evidence nine had assisted Soviet espionage using evidence from Venona or other sources. Of the remainder, while not being directly complicit in espionage, many were considered security risks. it was evident there was a deliberate, calculated program being carried out not only to protect communist personnel in high places, but to reduce security and intelligence protection to a nullity. On file in the department is a copy of a preliminary report of the FBI on Soviet espionage activities in the United States which involved a large number of State Department employees, some in high official positions. Robert E. Lee was the committee’s lead investigator and supervised preparation of the list. The Lee list, also using numbers rather than names, was published in the proceeding of the subcommittee. The memorandum listed the names of nine State Department officials and said that they were "only a few of the hundreds now employed in varying capacities who are protected and allowed to remain despite the fact that their presence is an obvious hazard to national security." Ten persons were removed from the list by June 24. But from 1947 until McCarthy's Wheeling speech in February 1950, the State Department did not fire one person as a loyalty or security risk. In other branches of the government, however, more than 300 persons were discharged for loyalty reasons alone during the period from 1947 to 1951. One of the most prominent attacks on Senator McCarthy was an episode of the TV documentary series See It Now, hosted by Edward R. Murrow, which was broadcast on March 9, 1954. By the time Murrow produced his "See It Now" assault on Senator McCarthy in 1954, the senator had been under almost constant vicious attack for four years. According to McCarthy biographer Arthur Herman, Murrow and his staff had spent two months carefully editing film clips to portray McCarthy in the worst possible light. There were no clips showing McCarthy in a professional manner. Despite Murrow's claims, this "was not a report at all but instead a full-scale assault, employing exactly the same techniques of 'partial truth and innuendo' that critics accused McCarthy of using." The episode consisted largely of clips of McCarthy in the most unflattering context, including "belching and picking his nose". In these clips, McCarthy accuses the Democratic Party of "twenty years of treason" because of the Democratic Party's concessions to the Soviet Union at the Yalta conference and Potsdam conference, describes the American Civil Liberties Union as "listed as 'a front for, and doing the work of,' the Communist Party," and berates General Zwicker for Zwicker's claim that he would protect any other general who promotes Communists within the military. Murrow also portrays a Pentagon coding room employee, Annie Lee Moss as an innocent victim of McCarthy even though it was later established that the FBI had warned the Army and the Civil Service Commission about her Communist Party connection. However, even some McCarthy critics were outraged by this one-sided presentation. Consistent McCarthy critic, John Cogley of Commonweal, "sharply attacked Murrow and his producers for their distorted summary and selected use of video clips." Cogley commented that a different selection of footage could have easily portrayed McCarthy in an extremely positive light and then further warned against the misuse of television in this fashion. He and another McCarthy critic from the Saturday Review agreed that it "was not a proud moment for television journalism". To counter the negative publicity, McCarthy appeared on See It Now on April 6, 1954, and presented his case in order to clarify the misconceptions that Murrow had televised. McCarthy countered that his committee, "has forced out of government, and out of important defense plants, Communists engaged in the Soviet conspiracy." McCarthy went on to say, "For example, 238 witnesses were examined [in] public session; 367 witnesses examined [in] executive session; 84 witnesses refused to testify as to Communist activities on the ground that, if they told the truth, they might go to jail; twenty-four witnesses with Communist backgrounds have been discharged from jobs [in] which they were handling secret, top-secret, confidential material, individuals who were exposed before our committee." McCarthy also exposed Murrow's left-wing background and previous associations with Communist organizations. The Murrow report, together with the televised Army-McCarthy hearings of the same year, and four years of consistent anti-McCarthy media reporting were the major causes of a nationwide popular opinion backlash against McCarthy. However, well-known broadcaster Eric Sevareid said the Murrow assault "came very late in the day.... The youngsters read back, and they think only one person in broadcasting and the press stood up to McCarthy, and this has made a lot of people feel very upset, including me, because that program came awfully late." Even Murrow discounted his role in the decline of Senator McCarthy's popularity. Murrow stated, "My God, I didn't do anything. (Times columnist) Scotty Reston and lot of guys have been writing like this, saying the same things, for months, for years. We're bringing up the rear." Nevertheless, despite the deceptive nature of the See It Now program and the late date in which it appears, anti-McCarthy historians have credited and celebrated Murrow as playing a major role in damaging Senator McCarthy's campaign to remove security risks from the U.S. government. While over the previous few years, Senator McCarthy had withstood countless biased and unsubstantiated attacks by Liberals, Communists, etc., who sought to prevent him from damaging their causes any further; the organized and co-ordinated effort between the two groups to remove McCarthy from his Chairmanship and officially condemn him began in March 1954. On March 9, 1954 a fellow conservative and anti-communist Republican Senator, Ralph E. Flanders of Vermont, gave a speech criticizing what he felt was Senator McCarthy’s "misdirection of our efforts at fighting communism” and his role in “the loss of respect for us in the world at large.” Flanders felt the nation should pay more attention looking outwards at the “alarming world-wide advance of Communist power” that would leave the United States and Canada as “the last remnants of the free world.” Eisenhower Administration cabinet officials told Flanders to “lay off,” while President Eisenhower sent Flanders a brief note of appreciation for his speech, but did not otherwise confer with him or explicitly support him. In a June 1, 1954 speech, Flanders emphasized how the Soviet Union was winning military successes in Asia without risking its own resources or men, and said this nation was witnessing "another example of economy of effort...in the conquest of this country for communism." He added, "One of the characteristic elements of communist and fascist tyranny is at hand as citizens are set to spy upon each other." Flanders told the Senate that McCarthy's "anti-Communism so completely parallels that of Adolf Hitler as to strike fear into the hearts of any defenseless minority"; he accused McCarthy of spreading "division and confusion" and saying, "Were the Junior Senator from Wisconsin in the pay of the Communists he could not have done a better job for them." On June 11, 1954 Flanders introduced a resolution charging McCarthy “with unbecoming conduct" and calling for his removal from his committee chairmanship. Upon the advice of Senators John Sherman Cooper and J. William Fulbright and legal assistance from the National Committee for an Effective Congress, a liberal organization, he modified his resolution to “bring it in line with previous actions of censure.” After introducing his censure motion, Flanders had no active role in the ensuing Watkins Committee hearings. Flanders bore McCarthy no personal animosity and reported that McCarthy accepted his invitation to join him at lunch after the hearings had taken place. Ultimately, McCarthy was accused of 46 different counts of allegedly improper conduct and another special committee was set up, under the chairmanship of Senator Arthur Watkins, to study and evaluate the charges. This was to be the fifth investigation of Senator McCarthy in five years. This committee opened hearings on August 31, 1954. After two months of hearings and deliberations, the Watkins Committee recommended that McCarthy be censured on only two of the original 46 counts. The committee exonerated McCarthy on all substantive charges. On November 8, 1954, a special session of the Senate convened to debate the two charges. The charges to be debated and voted on were: 1) That Senator McCarthy had "failed to cooperate" in 1952 with the Senate Subcommitee on Privileges and Elections that was looking into certain aspects of his private and political life in connection with a resolution for his expulsion from the Senate; and 2) That in conducting a senatorial inquiry, Senator McCarthy had "intemperately abused" General Ralph Zwicker. The Zwicker count was dropped by the full Senate on the grounds that McCarthy's conduct was arguably "induced" by Zwicker's own behavior. Many senators felt that the Army had shown contempt for committee chairman McCarthy by disregarding his letter of February 1, 1954 and honorably discharging Irving Peress the next day. So, for this reason, the Senate concluded that McCarthy's conduct toward Zwicker on February 18 was justified. Therefore, the Zwicker count was dropped at the last minute and was replaced with this substitute charge: 2) That Senator McCarthy, by characterizing the Watkins Committee as the "unwitting handmaiden" of the Communist Party and by describing the special Senate session as a "lynch party" and a "lynch bee," had "acted contrary to senatorial ethics and tended to bring the Senate into dishonor and disrepute, to obstruct the constitutional processes of the Senate, and to impair its dignity." On December 2, 1954, even though more than a dozen senators told McCarthy that they did not want to vote against him but had to do so because of the enormous pressure being put on them by the Eisenhower Administration and by leaders of both political parties, the Senate voted to "condemn" Senator Joseph McCarthy on both counts by a vote of 67 to 22. The Democrats voted unanimously in favor of condemnation and the Republicans split evenly. The resolution condemning Senator McCarthy has been criticized as a ridiculous attempt to silence the strongest voice in the Senate investigating security and loyalty risks in the U.S. government. When examined closely, the two counts used in condemning McCarthy were hopelessly flawed. In analyzing the first count, "failure to cooperate with the Subcommittee on Privileges and Elections", the fact is that the subcommittee never subpoenaed McCarthy, but only "invited" him to testify. One senator and two staff members resigned from the subcommittee because of its dishonesty towards McCarthy. In its final report dated January 2, 1953, the subcommittee, stated that the matters under consideration "have become moot by reason of the 1952 election." Up until this moment in U.S. history, no senator had ever been punished for something that had happened in a previous Congress or for declining an "invitation" to testify. Therefore, the first count was a complete fraud and nothing more than a trumped up charge in order to damage Senator McCarthy. The second count was even more flawed than the first. McCarthy was condemned for opinions he had expressed outside the Senate when he criticized the Watkins Committee and the special Senate session. In an editorial by David Lawrence in the June 7, 1957 issue of U.S. News & World Report, other senators had accused McCarthy of lying under oath, accepting influence money, engaging in election fraud, making libelous and false statements, practicing blackmail, doing the work of the communists for them, and engaging in a questionable "personal relationship" with Roy Cohn and David Schine. However, these other Senators were not censured for acting "contrary to senatorial ethics" or for impairing the "dignity" of the Senate. Only Senator McCarthy would be held responsible for his words. Senator McCarthy's power and clout to continue the search for Communists in positions of power in America was severely curtailed. After the Republicans lost control of the Senate in 1954, McCarthy, now a member of the minority Party, had to depend on public speeches to continue his campaign of warning the American people to the danger of Communism. He did this in a number of important addresses during those two and a half years. In January 1957, McCarthy and his wife, Jean, adopted a baby girl and named her, Tierney. Unfortunately, several months later, McCarthy died of acute hepatitis, likely brought on by his lifelong struggle with alcoholism, in Bethesda Naval Hospital on May 2, 1957, at the age of 48. McCarthy was given a state funeral attended by 70 senators. McCarthy was the first senator in 17 years to have funeral services in the Senate chamber. Thousands of people viewed the body in Washington D.C. and it is estimated more than 30,000 people from Wisconsin filed through St. Mary's Church in the senator's hometown of Appleton, Wisconsin, where the clergy performed a Solemn Pontifical Requiem before more than 100 priests and 2,000 others. Three senators, George Malone, William E. Jenner, and Herman Welker, had flown from Washington D.C. to Appleton on the plane carrying McCarthy's casket. Robert Kennedy attended the funeral in Wisconsin. McCarthy was buried in St. Mary's Parish Cemetery in Appleton and was survived by his wife, Jean, and their adopted daughter, Tierney. "A half century later, when the only people who call themselves Communists are harmless cranks, it is difficult to grasp the importance of McCarthy's crusade. But there's a reason 'Communist' now sounds about as threatening as 'monarchist' -- and it's not because of intrepid New York Times editorials denouncing McCarthy and praising Harvard educated Soviet spies. McCarthy made it a disgrace to be a Communist. Domestic Communism could never recover." When Ann Coulter asked Fox News’ Bill O'Reilly to identify a McCarthy-tormented innocent, O'Reilly responded with Dalton Trumbo, one of House Un-American Activities Committee's (HUAC) “Hollywood Ten”, not realizing HUAC investigated CPUSA infiltration in Hollywood and called “the Hollywood Ten” of writers, directors and producers to testify in 1947. McCarthy did not start his crusade against Communism until 1950. "Carl Hayden, who in January 1955 became chairman of the powerful Appropriations Committee of the United States Senate, told me privately Monmouth had been moved because he and other members of the majority Democratic Party were convinced security at Monmouth had been penetrated. They didn't want to admit that McCarthy was right in his accusations. Their only alternative was to move the installation from New Jersey to a new location in Arizona." 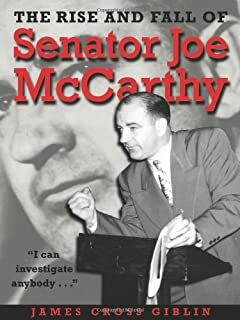 Even though McCarthy's investigations proved that his suspicions were right, for many years afterward and continuing to this day, liberals have spread the falsehood that McCarthy had found nothing at Fort Monmouth. "You're going to prove [Sen. Joseph] McCarthy was right, because all he was saying is that the system was loaded with Communists. And he was right. ... I'm worried about the kind of book you're going to write and about cleaning up McCarthy. The problem is that everybody said he was a liar; you're saying he was right. ... I agree that the Party was a force in the country." Both Albert Bernstein and Sylvia Bernstein, Carl's mother, had both been Communists since the 1940s. Albert Bernstein was a Union activist, while Sylvia Bernstein was a secretary for the War Department in the 1930s and, during the Clinton Administration, volunteered in the White House, answering letters that were addressed to Hillary Clinton. During the 1950s, Sylvia Bernstein invoked the Fifth Amendment to avoid revealing her party ties to Congress but worked openly in assisting convicted spies Julius Rosenberg and Ethel Rosenberg, who were executed in 1953 for espionage. It should be pointed out how many people followed McCarthy on his crusade, and that many pro-Americans still do. The majority of the sources that discredited Senator McCarthy originated from a large assault by the liberal media that managed to sway the majority of Americans against him at that time. While many Americans – liberals and conservatives – use McCarthy's name in a negative connotation, such references are unfair to McCarthy. "if liberals were merely stupid, the laws of probability would dictate that at least some of their decisions would serve America's interests." Latham, Earl Communist Controversy in Washington: From the New Deal to McCarthy. (1969).